Pink Happi Birds ribbon collar and lead set. 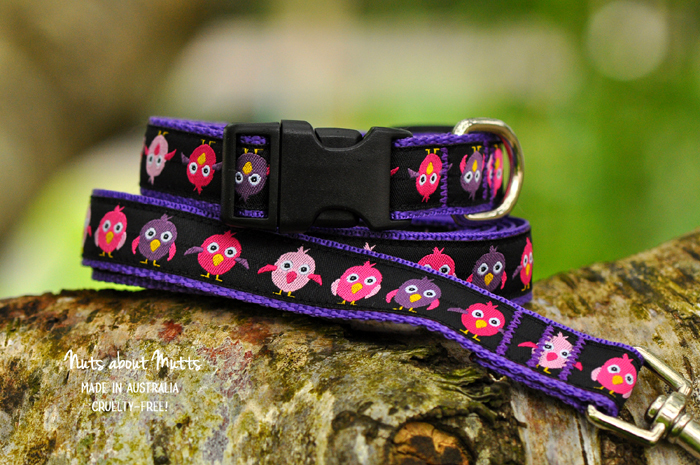 Cute colourful birds in pink, light pink and purple on a black background, stitched onto purple or black webbing. Suitable for small to medium sized dogs. Medium, fits neck size 30-45cm approx. Collar width 20mm. Lead: 1.2m x 20mm wide. 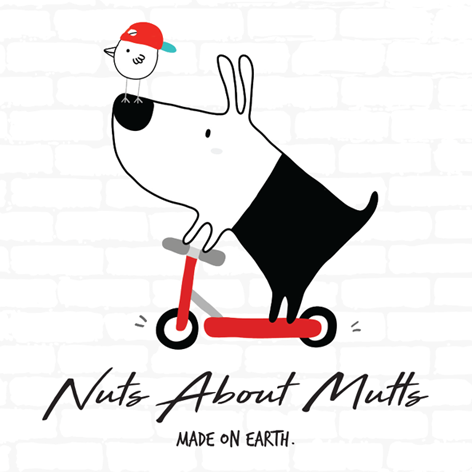 All our collars and leads are hand-crafted in Australia. Where possible we use eco-friendly materials for our packaging. Our energy used to sew the collars comes from the sun. We collect our own rainwater. Our chooks are free to roam. Our dogs, cats and sheep have all been rescued.